Join in at anytime! The ISTE Games & SIms Network will be reading Learning Transported which is Jaime Donally's book on augmented reality (AR) and virtual reality (VR). Mary Townsend @MaryBTownsend1 is facilitating the slow tweetchat until July 29. We’re using the hashtag #istebook. 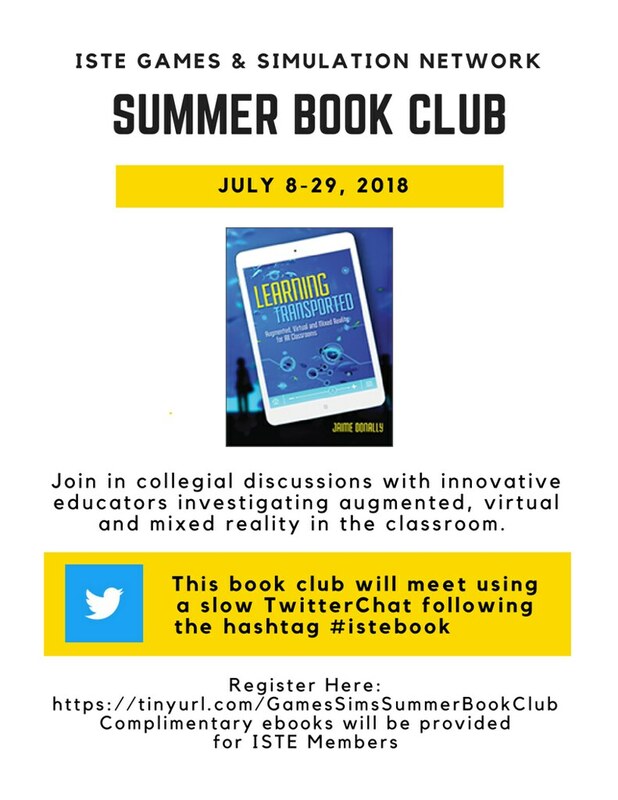 Even if you’re not reading the book will be some interesting discussions on VR and AR happening on twitter using the #istebook.